Hmm .. i wanna start a new category of blog, where i upload articles that i find particularly inspiring and/or useful from my GameDeveloperMagazine..hopefully readers (that don’t yet have a subscription to the mag) would find it beneficial! I also think it would be great for me to have archives of my own favorite articles =)! 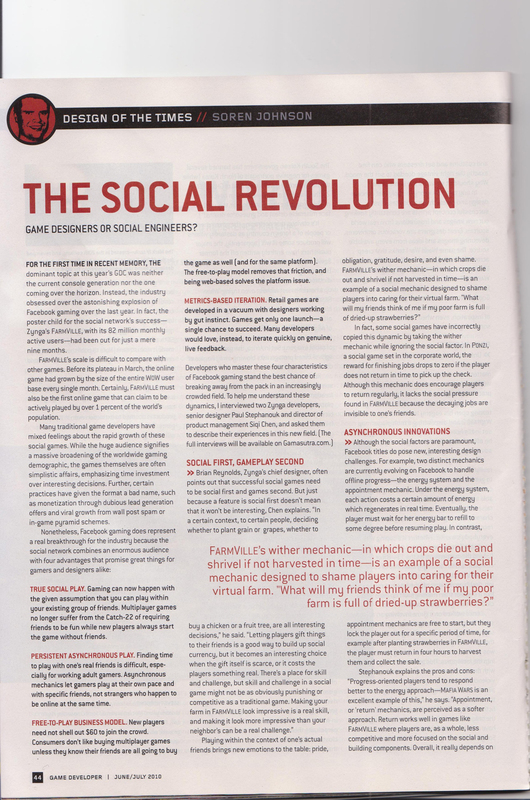 Today’s article reflects on social games phenomenon Farmville! 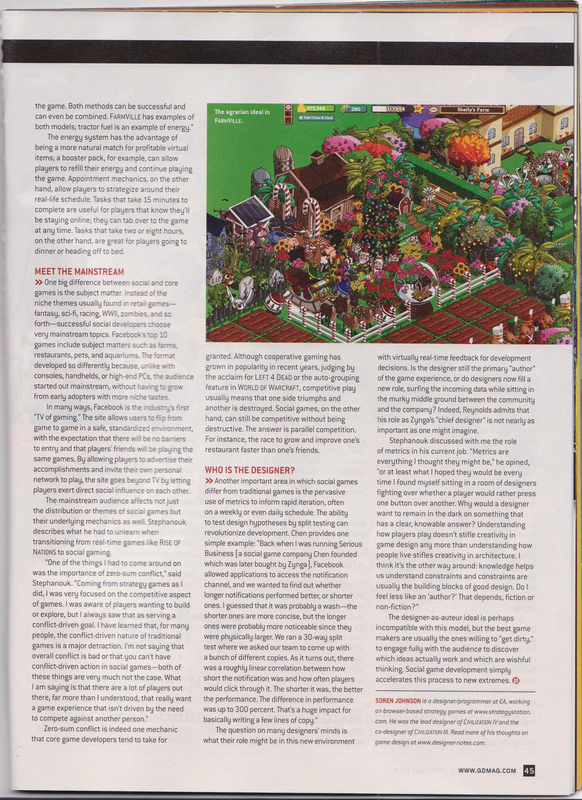 This entry was posted on Wednesday, June 30th, 2010 at 2:13 pm and is filed under GameDeveloperMag. You can follow any responses to this entry through the RSS 2.0 feed. You can leave a response, or trackback from your own site.